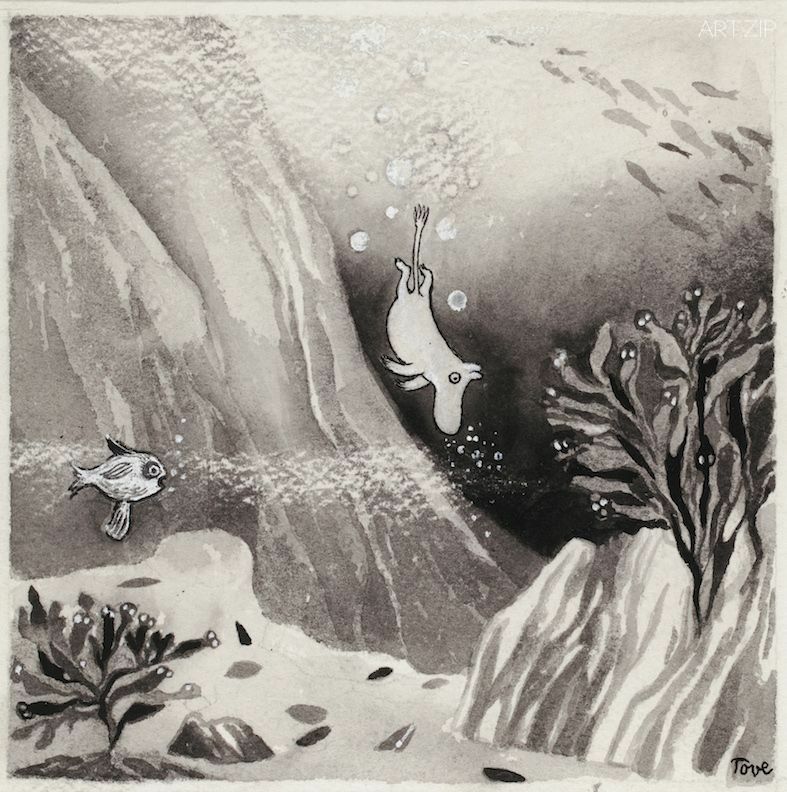 Dulwich Picture Gallery will present the first major UK retrospective of work by one of the most celebrated illustrators of the 20th century, Tove Jansson (1914-2001). 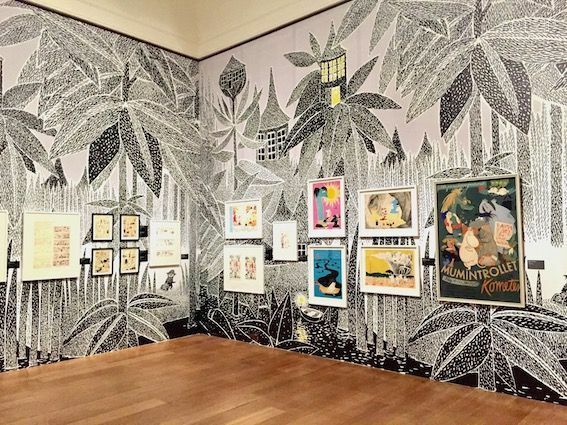 Known internationally as creator of the Moomin characters and books, a phenomenon which continues to stretch across generations, Jansson’s wider outputs of graphic illustration and painting are relatively unseen outside her home country of Finland. 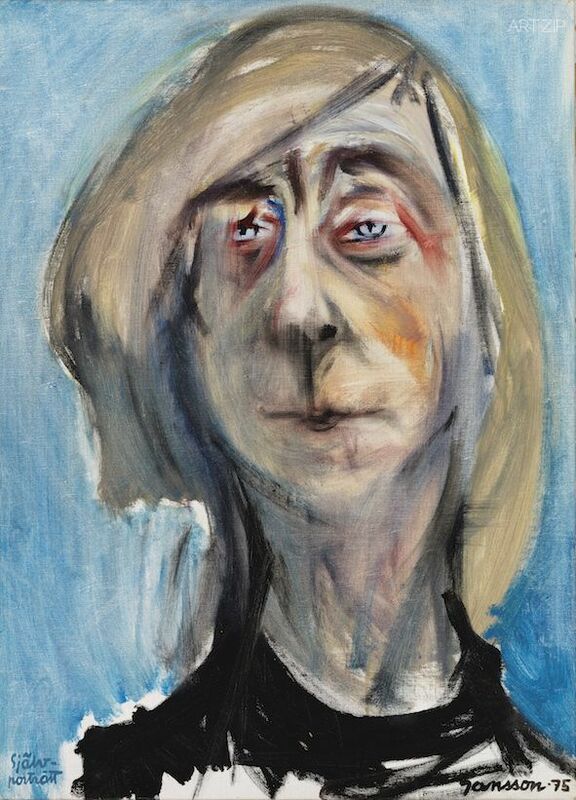 Tove Jansson will bring together 150 works to reintroduce Jansson as an artist of exceptional breadth and talent, tracing the key stages of her proli c career including her surrealist-inspired paintings of the 1930s and abstract work of the ‘60s, her satirical anti-war cartoons and book jacket designs, as well as a comprehensive display of early sketches for the Moomin characters and original comic strips. The exhibition opens with Jansson’s self-portraits, landscapes and still-lifes, many of which have never been seen before in the UK. 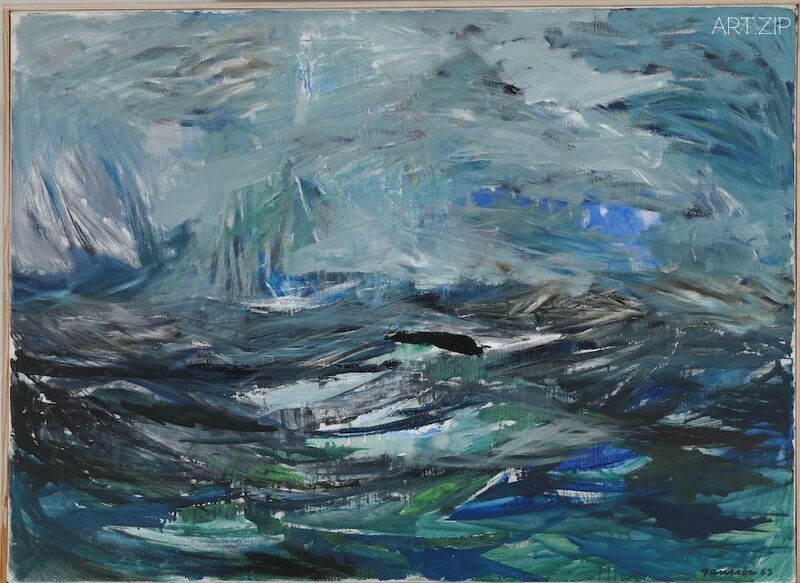 Although Jansson worked with various different media throughout her life, she always considered herself primarily a painter. 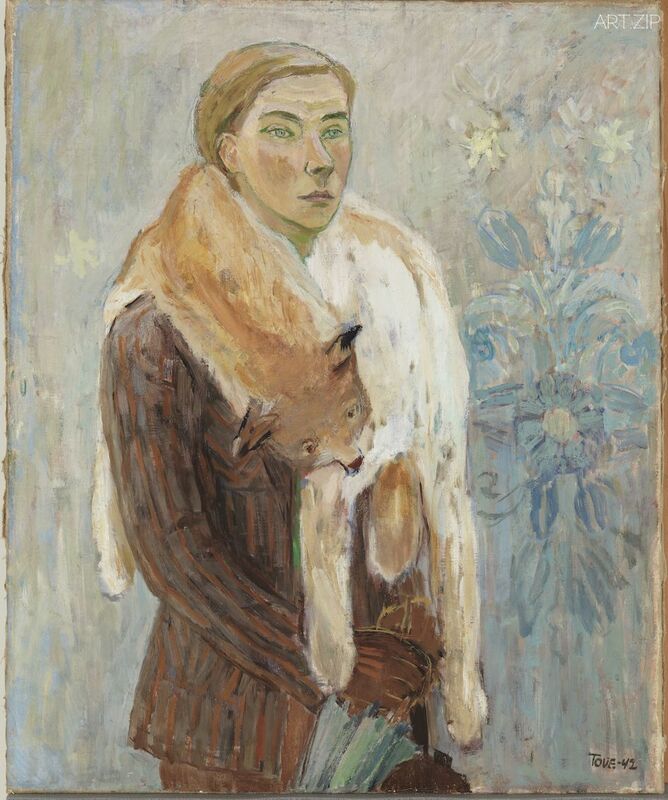 Works such as Mysterious Landscape, 1930s, reveal her early fascination with storytelling and colour whilst a key selection of self-portraits painted during the 1930s and ‘40s allow us to interpret the emotional climate of the different stages of Jansson’s life. 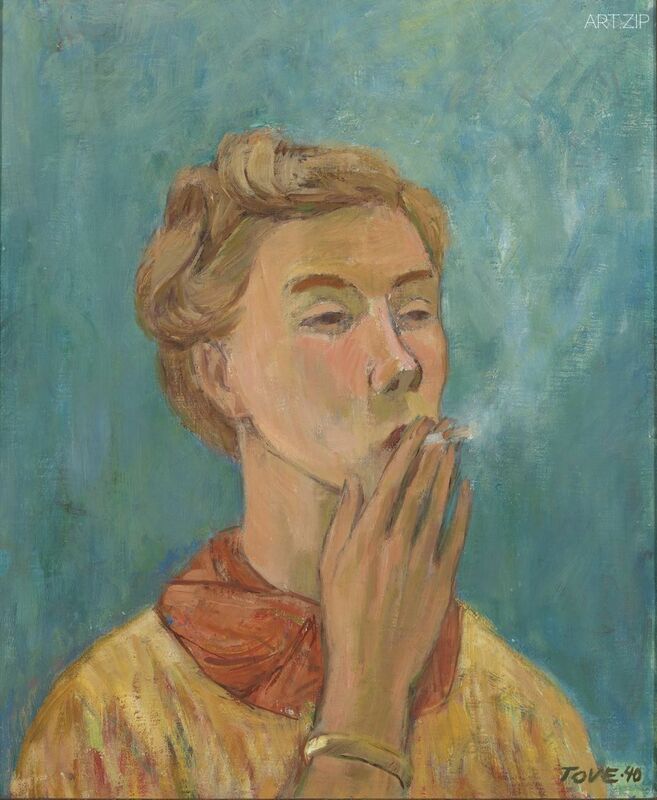 The Smoking Girl, 1940, shows Jansson as de ant and challenging, depicting a moment of deep concentration, whilst two years later in Lynx Boa (Self Portrait), 1942, the expression is softer and calmer, yet full of courage and self-esteem. 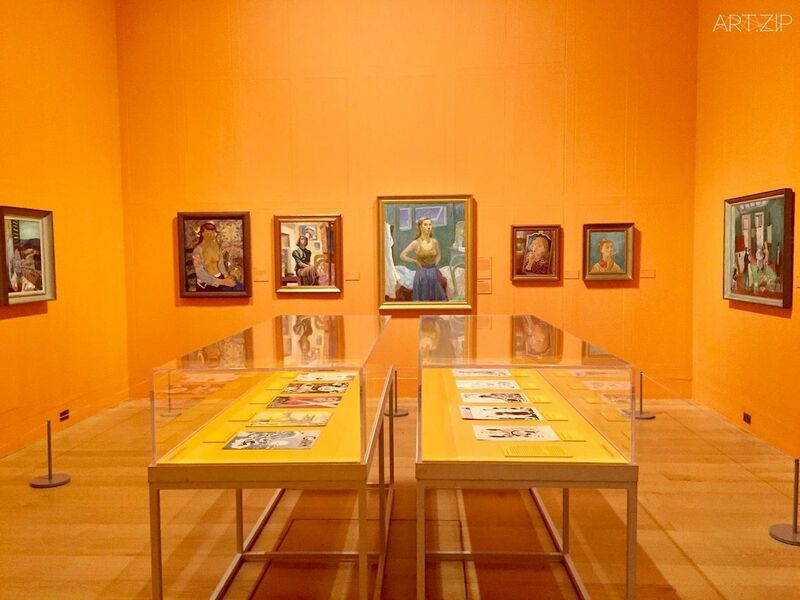 During her rst decades as an artist, Jansson produced an astonishing variety of illustrations. 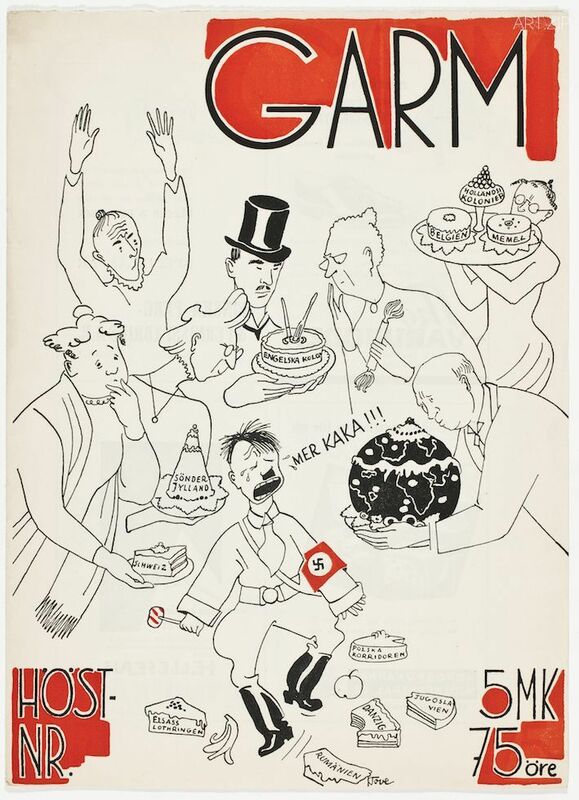 At the young age of 15, her already formidable talent for caricature caught the attention of the liberal political satire magazine, Garm, and she went on to draw more than 500 caricatures and 100 cover images for them. In contrast to her paintings, Jansson eagerly captured the ravages of war in her illustrations, employing them to such an extent that the political cartoons she published openly under her own name were quite daring. A display of illustrations will reveal Jansson’s boldness and staunch opposition to war, fascism and totalitarianism. 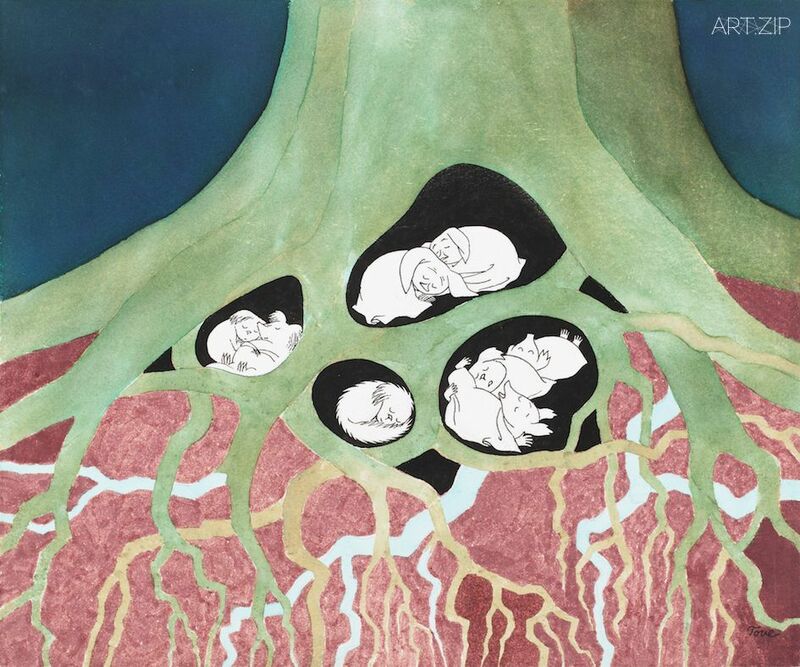 Illustrating for Garm provided Jansson with the experimental space to introduce the first resemblance of Moomintroll who appeared as the long snouted troll, ‘Snork’ in 1943. He would have frequent cameo appearances in her future drawings for the magazine, appearing in the sidelines or embroiled in the cartoon itself. 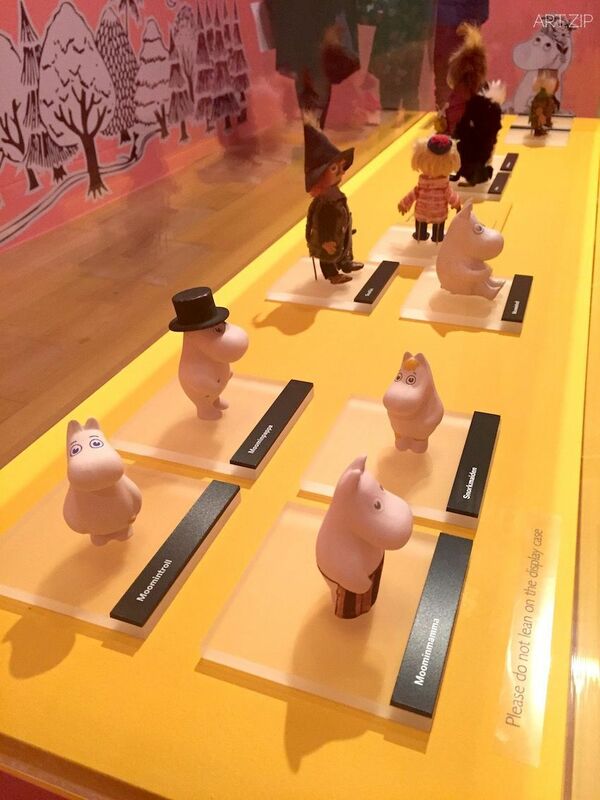 The Moomin characters brought together Jansson’s gifts as an artist with her uency as a writer. Jansson began writing stories about the Moomins during the war. As early as the 1930s she had drawn Moomin-like gures that were black and thin, with red eyes, whilst the Moomins we know today are rounder and friendlier in appearance. 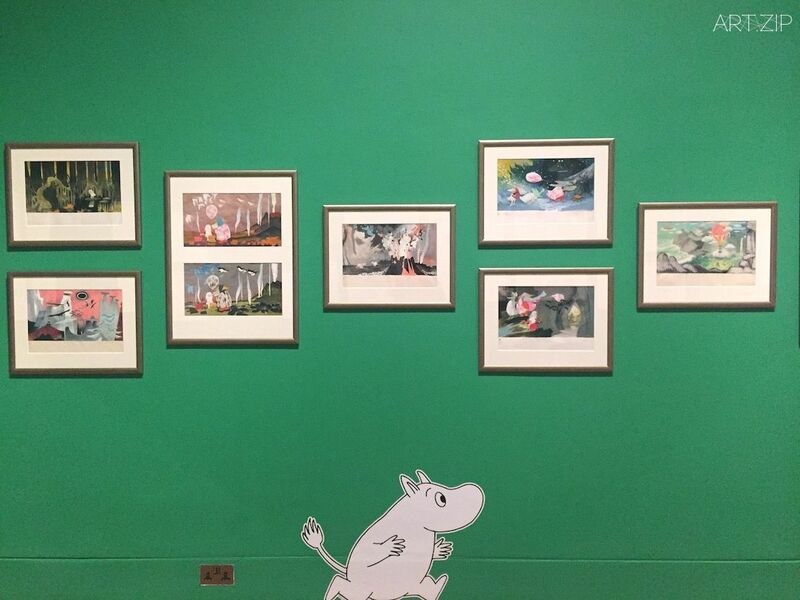 A display of original book illustrations for the series along with comic strips for the Finnish magazine, Ny Tid and the widely read, The Evening News, will provide an insight into the genesis of the Moomin phenomenon. 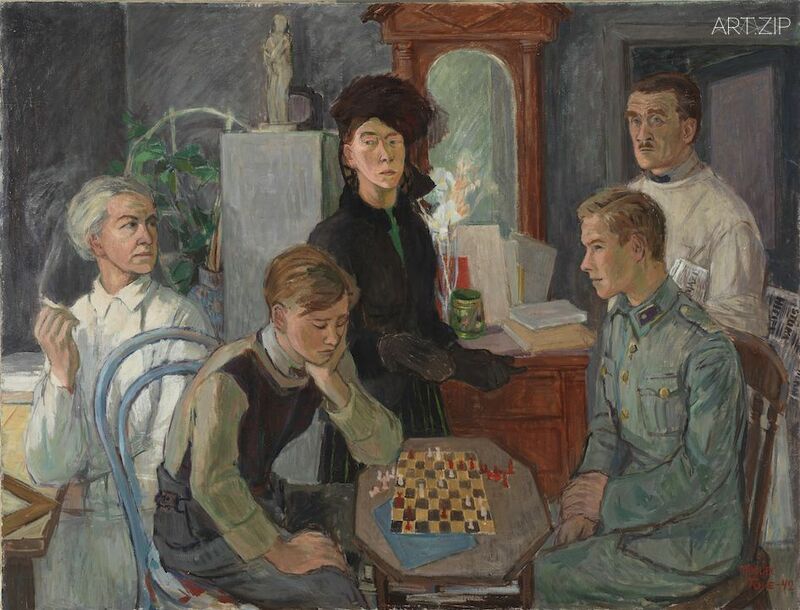 It will also highlight key in uences on the subject and the development of Jansson’s illustrations including her experience of the war and the Jansson family dynamic.